*Leaves face feeling clean *Doesn't sting or irritate after washing *Seems to be de-listed in the US, so paid more than retail to get a hold of it. *Dries out of my face when used just once daily (in just a few days). My dermatologist gave me a small sample of this cleanser claiming that it would not only help with some facial redness, but would also moisturize my skin. 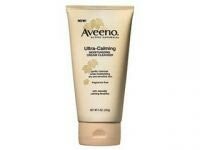 I can't weight on its anti-redness "calming" effect because I didn't use it long enough to see that happen. After easing into the product by using the sample tube every other day, I decided to buy the full size and begin to use it daily. The skin on certain parts of face started to flake up in a few days. It seems to do a good job of cleaning without stinging or irritation, but in my case it over-dried my skin. Fragrance-free Doesn't dry out skin Creamy texture Non-comedogenic Doesn't irritate face Very gentle Doesn't have that "squeaky clean" feeling that some people like Love this cleanser. I've used it on and off for the past couple of years. Doesn't dry out your skin like most cleansers. Great for dry skin while on the Regimen. Really does "calm" your face. Def recommended! Maybe a tiiiny bit pricey but if you buy it at Walmart it's only 10 bucks and will last you about 2 months.